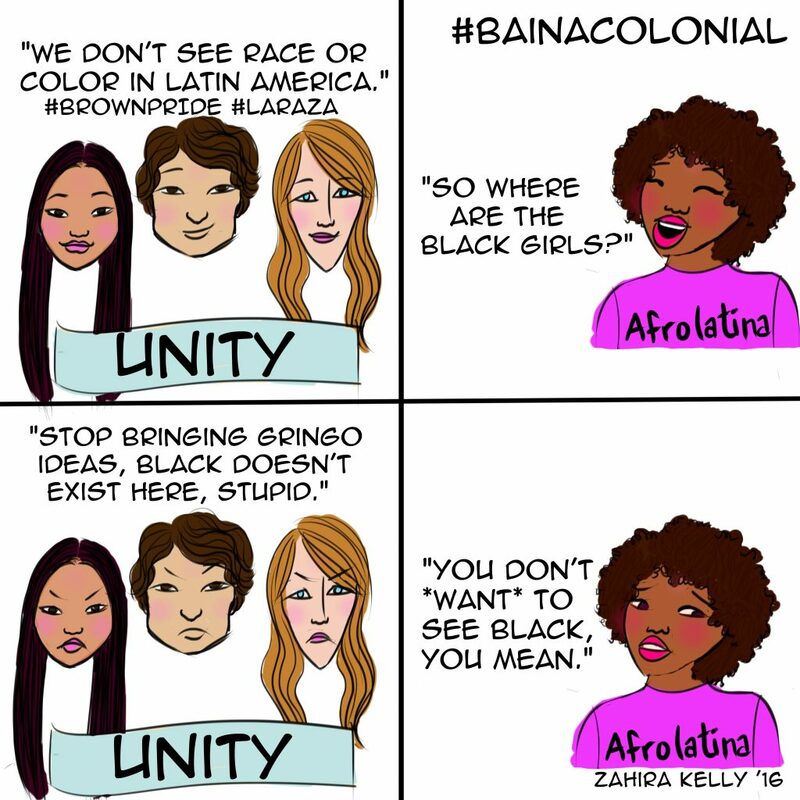 In Early 2016 I started BainaColonial.Com, my comic on navigating Latin America in a black female body. 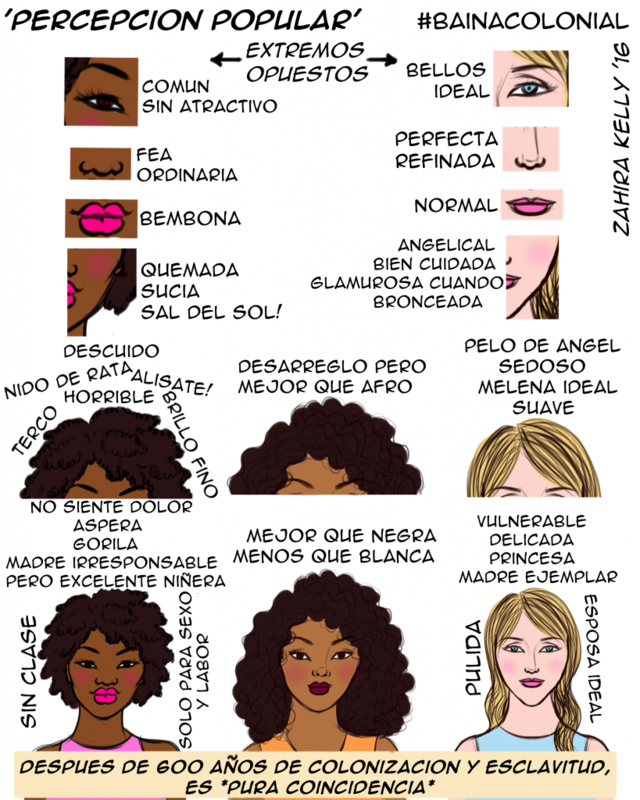 It is written and illustrated by me, from an anticolonial Afrolatina feminist point of view. Baina or Vaina is a term Dominicans use to signify a “thing”, it can be just about any “thing”. 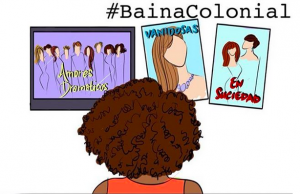 In this case, Baina Colonial means Colonial Things. 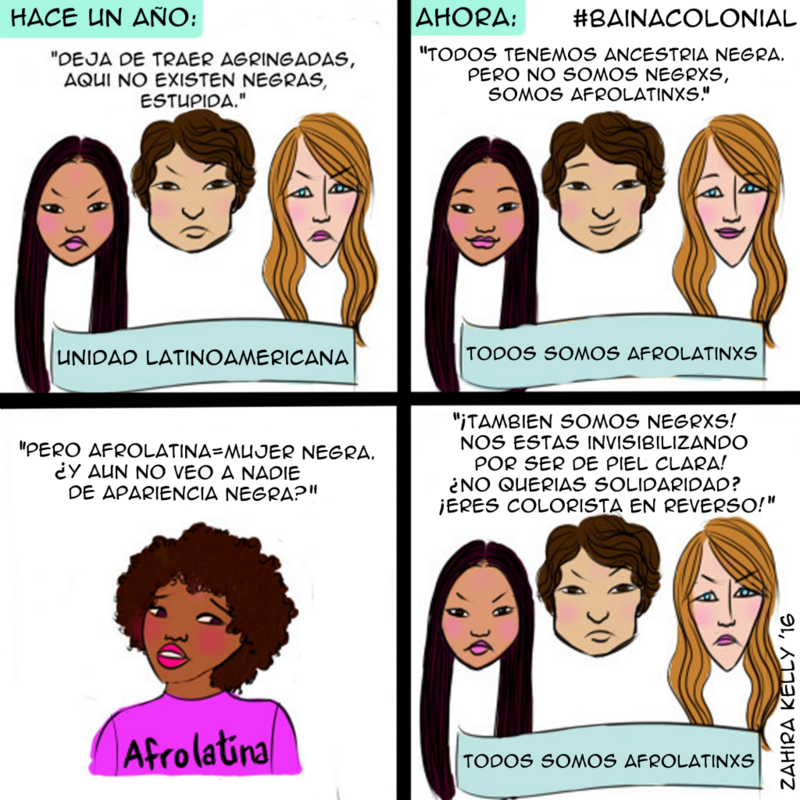 Because the mentalities and structures I point out are Colonial/Antiblack legacy Spaniards and other Colonizers/Enslavers left with us. 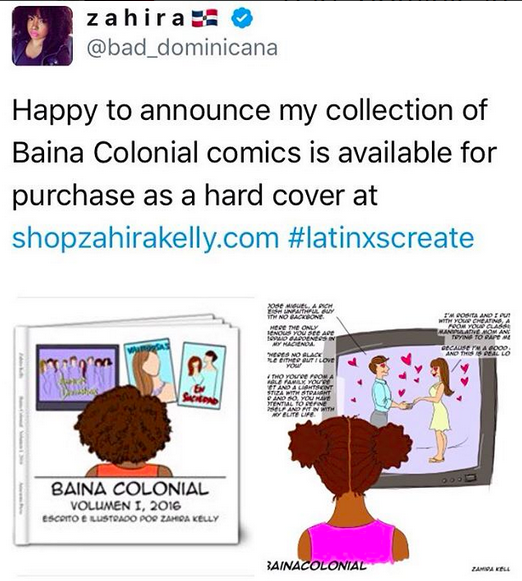 You can now purchase your own hard cover collection of Baina Colonial at shopzahirakelly.com. Due to requests from educators I also made my comics available for free. Please consider one time donations at Paypal.me/ZahiraK or Grock.me/zahira or subscribing at patreon.com/bad_dominicana to support my work. 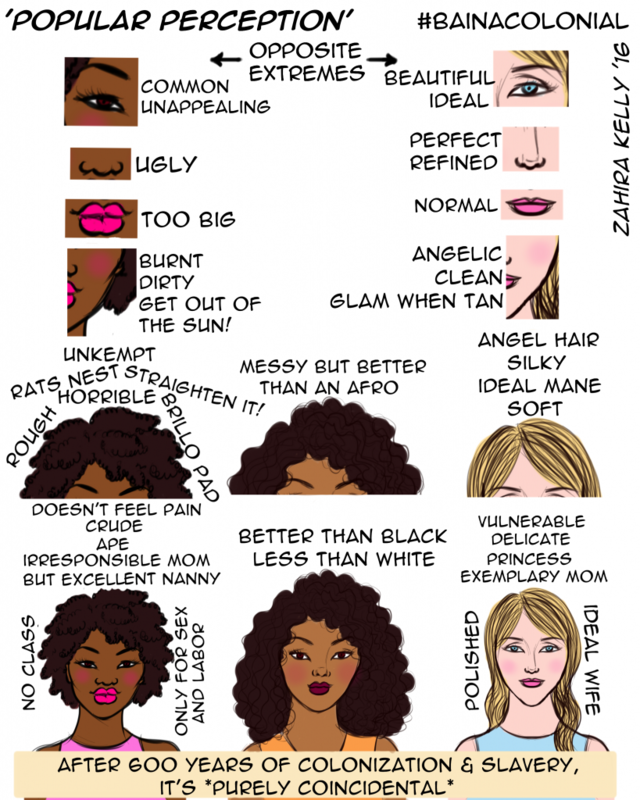 Click On The Links Below the Graphics to Download the Comics for Free for Educational Purposes.